At one corner of the café is a clock permanently set to 2pm. It’s to remind visitors that they don’t always have to keep chasing time — the hours can wait for them. For chocoholics out there wanting a different kind of cocoa high, their delectably divine choco creations is a must-try. 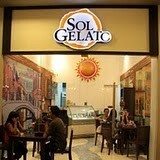 Sol Gelato, located at the Venice Piazza in McKinley Hill, offers its customers with a variety of flavors that are all sure to satisfy every one's craving. Happy Lemon does not only provide fresh tea to the consumers but also a unique tea culture and experience! 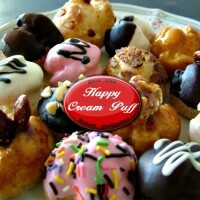 Truly a fresh way to eat, Happy Cream Puff offers the right amount of sweetness that keeps you wanting for more bites. Definitely no more “suya taste” every time you crave for sweets. Kopi Roti is a cafe that originated in Singapore. 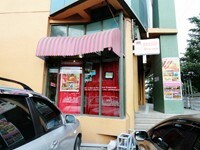 They serve beverages such as Tea Tarik, Barley, Kopi as well as munchies such as Kopi Bun and Kaya Toast. 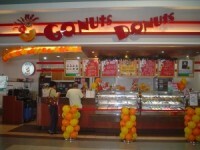 Go Nuts Donuts offers a wide range of donut varieties which makes them eye-catching and mouth watering to all of its customers. Bo's Coffee is local coffee chain that serves the select Philippine coffee as well as pastries and cakes. Red Mango is one of the first frozen yogurt joint in the country. They serve not just frozen yogurt treats but also yogurt smoothies, waffles, coffee and more. Sweet Bella Cafe is located in the Forbestown Strip in Bonifacion Global City. They offer sweet confections from cakes to pastries and more.